Truly remarkable! 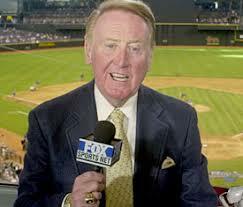 This I Learned Today TILTCast - Vin Scully celebrates 60 years of broadcasting excellence! Congrats! _______________________________________________________ If you are in a place where online gambling is legal, you need to know the best places to play with the loosest virtual games to maximize your return. Research casino games online with casinogamblingindex.com and find yourself able to make your best bets and safest plays while enjoying all of the fun and excitement of the best online casinos. Check them out today and be glad you did before you set off to play virtual casinos.